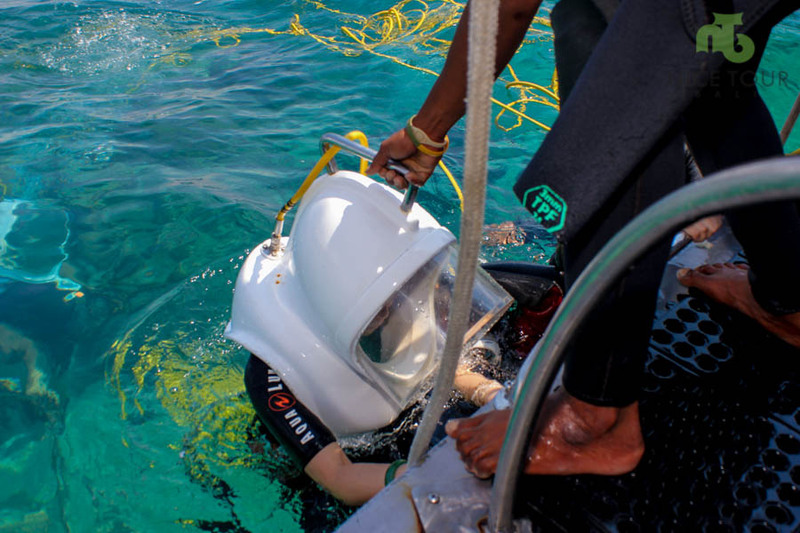 Bali Seawalker is an exciting dive activity using safety helmet supplied by free air flow making easily walk and do activities in the water by free breathing. 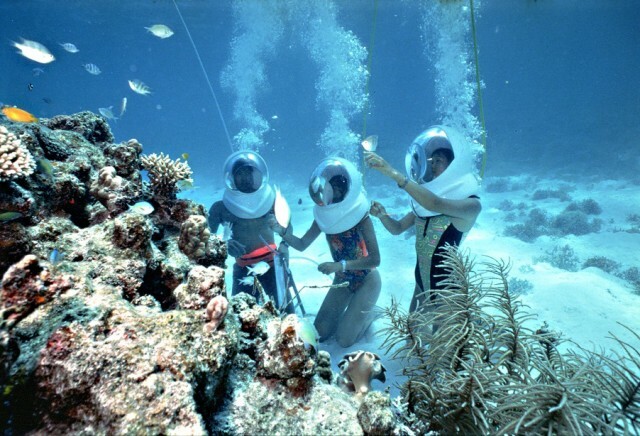 This adventure will encourage you to dive within 5 to 10 meter and enjoy the beautiful ambiance of underwater and face to face with beautiful color of fishes and coral reefs. It will bring you the impression experience during your vacation in Bali to discover underwater live and interact with fishes which is accompanied by professional dive instructor. Located in Semawang Beach, in Sanur. This activity gives you satisfaction while doing it. Touching and fish feed directly on their nature, probably very appropriate to be immortalized into a picture. 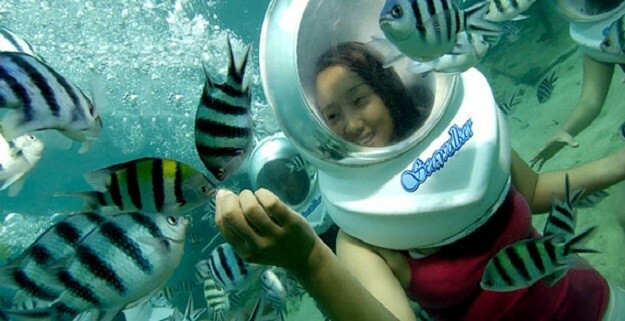 Very impressive if we could visit the underwater world with relatives, close friends or people you care about. Pickup depending on the time you choose. Pickup time can be selected from from 9 am to 1 pm at the latest. It took approximately 30 minutes to the location. Once the location, you will welcome the change of clothing for the preparation to the location of Seawalker. When it arrived at the location where it will dive, you will be briefed by the instructor Sewalker for a while. 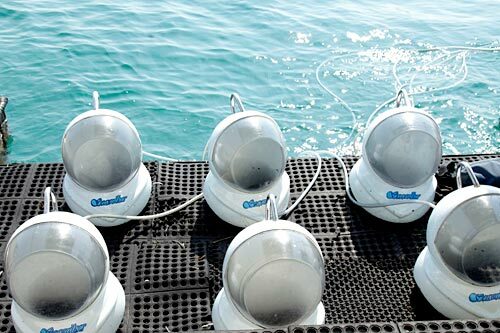 The instructor will pair the devices Seawalker just before the dive. You will always be accompanied by an instructor and also 2 divers are always watching you. 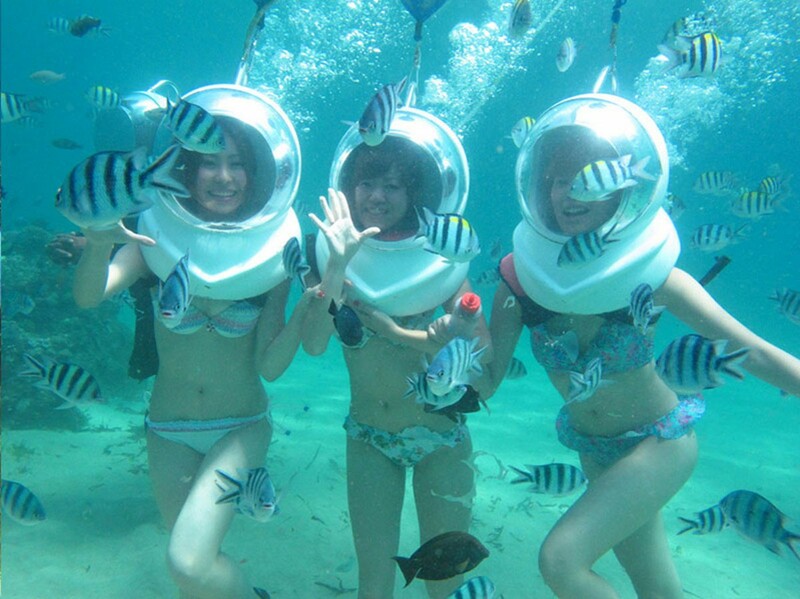 Spent about 30 minutes walking under the sea will provide a memorable experience. Done dive, you will be brought back to the restaurant to enjoy your lunch. After completing the activity, our experienced driver will take you back to the hotel to rest.